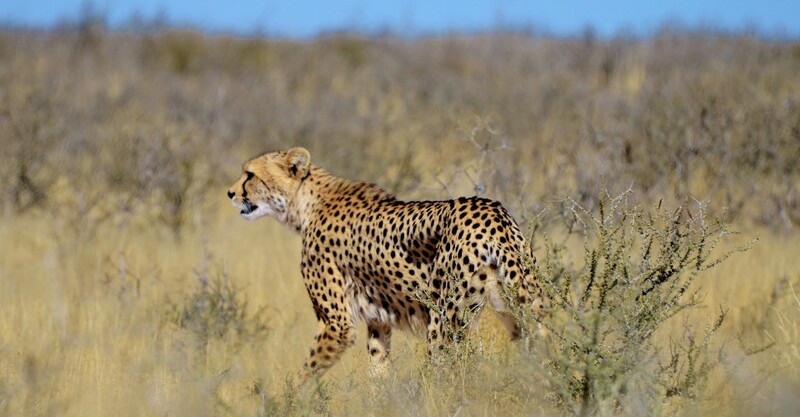 6 Day Kgalagadi Safari - Kalahari Desert - Lodge Acc. 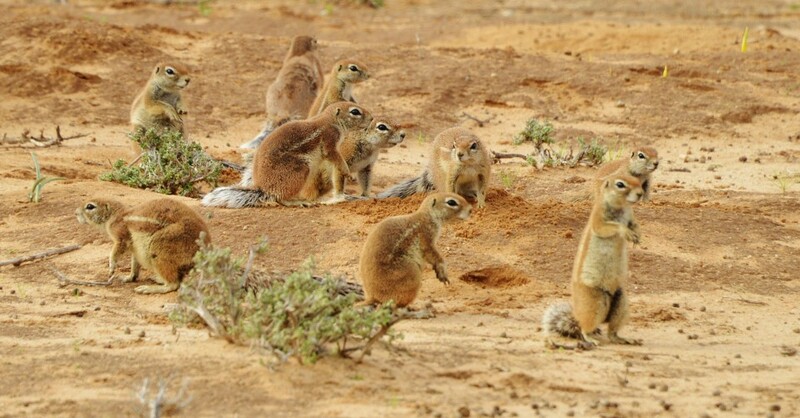 The 6-day Kgalagadi safari is a perfect introduction to the Kgalagadi Transfrontier Park. This safari will depart and end in the Northern Cape metropolis of Upington. Our visit will be the Kgalagadi park in one of the most northern points of South Africa. 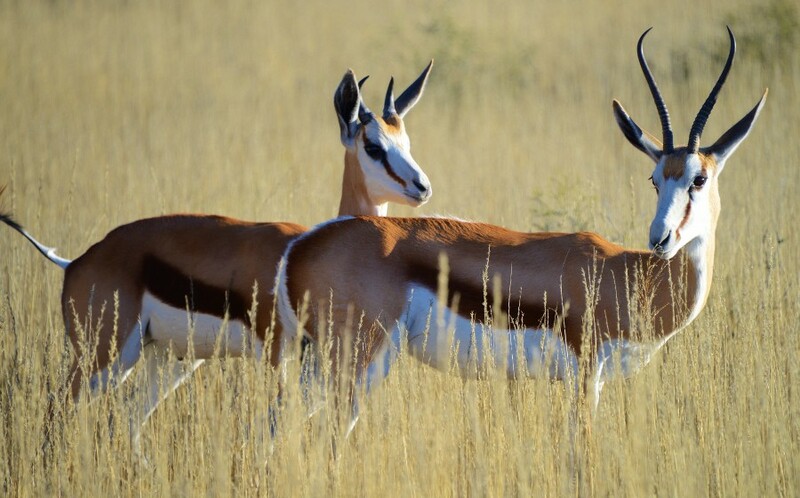 The Kgalagadi Transfrontier Park is a shared conservation initiative between Botswana and South Africa. In Short, it means cross-border conservation. 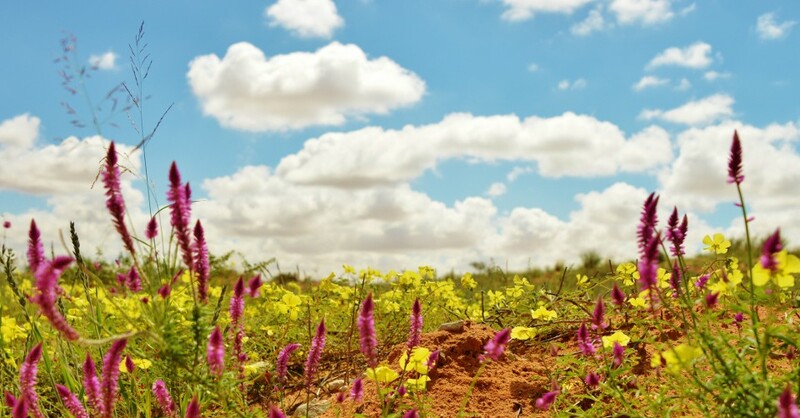 Our days focus at discovering the wildlife and sensitive ecosystem of this semi-desert. The Kgalagadi is known for its red dunes and vast open spaces. The park divides into an eastern and western border with connecting dune roads. These boundaries are along the Nossob and the Auob river beds. The two dune trails are from east to west and join these river beds. Our game drives will be along these two river beds and the watering holes. 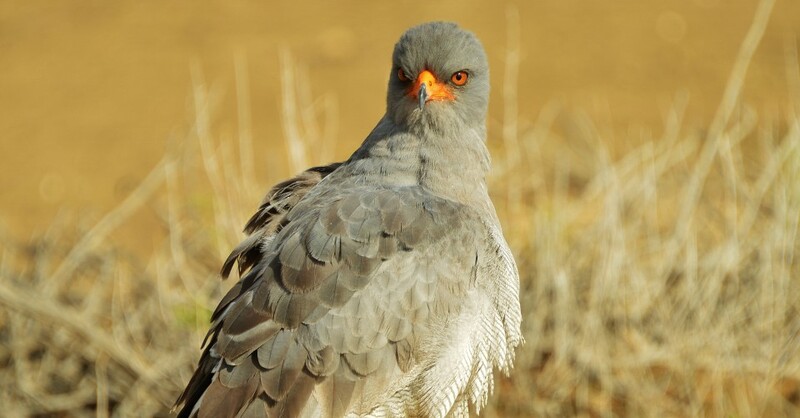 The 6-day Kgalagadi Safari is an excellent introduction to nocturnal animals, raptors and the black-maned Kalahari lion. The park has a healthy predator population. These predator territories are crossing through the river beds. The acacia trees are prominent along these riverbeds and provide a staple supplement to the browsers along with shade from the Kalahari sun. 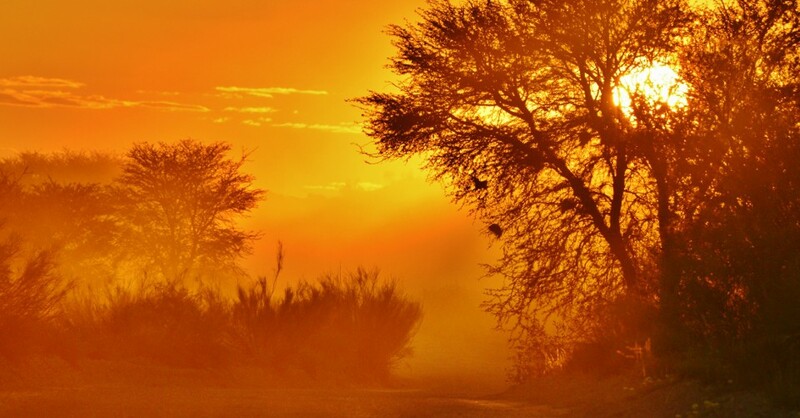 The Kalahari means the land of the thirst in local translation. One of the most amazing times in the post-rainy season. One can experience how this semi-desert comes alive with a few drops of rain. The Lodge accommodation inside the park is subject to availability. Our lodge accommodation is Tented Camp style inclusive of all meals. The Kgalagadi Lodge just outside the park is our first choice, and we make use of the lodge as our base when visiting the Kgalagadi Transfrontier Park. Visit the Kalahari this season and experience the vastness of this biosphere. 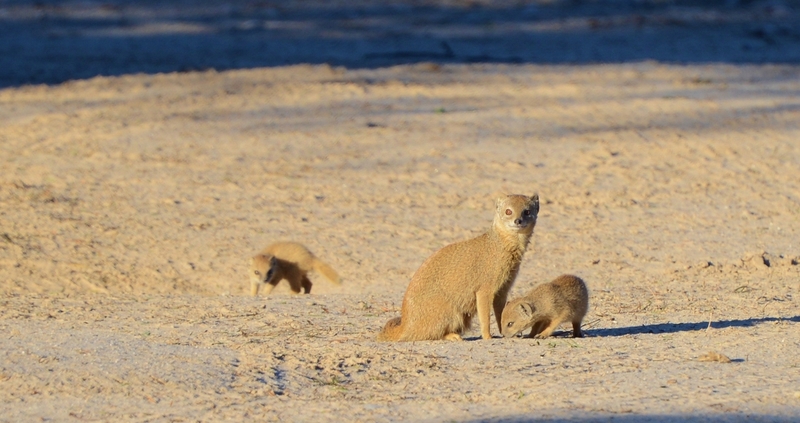 Kgalagadi is a popular photographic destination. The waterholes are in the dry river beds. Two dune roads connect the east and the west of the park. The Kalahari offers a contrast in colour and vegetation. The red dunes form a great backdrop with the yellow bushman grass. 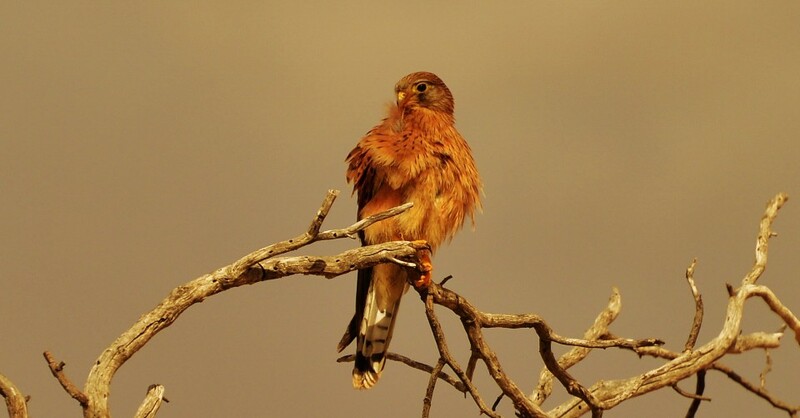 Our Kgalagadi Safaris focus on the small life, birdlife and the variety of mammals of the park. We take our time and focus on early morning drives and late afternoon drives. It is common for us to be out on safari the whole day inside the Kgalagadi Park. The Park offers picnic stops and ablutions along the way. We reach these points and enjoy some leg strteching and some picnicstyle lunches. One is not allowed to exit your vehicle in the park, except at these designated picnic stops. The best speed for game driving is between 35 and 40 km per hour. This speed will allow you to scan the trees, shadows and dune rise along the way. Please enquire about SADC Rates. Min 2: Max 7 people.